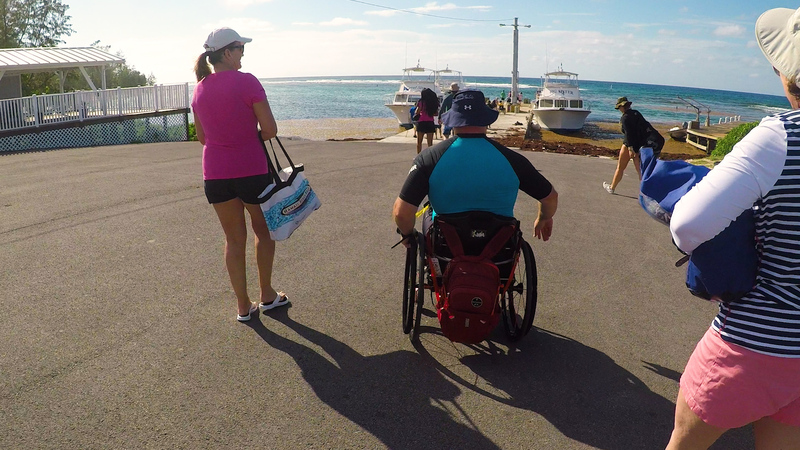 In June 2017, the Craig Adventure Program, in conjunction with A-1 Scuba, brought a group of divers – ten of whom are living with spinal cord and brain injuries – to Cayman Brac for a week of adaptive scuba diving. Many of the trip participants were Craig alumni, like Corey Fairbanks, who spent two months at Craig in 1991 after sustaining a spinal cord injury in a skiing accident. Having been an active person and athlete prior to his injury, Corey has participated in a number of adaptive sports and activities – from tennis to sled hockey to curling. In 2002, he tried scuba diving for the first time and was hooked. 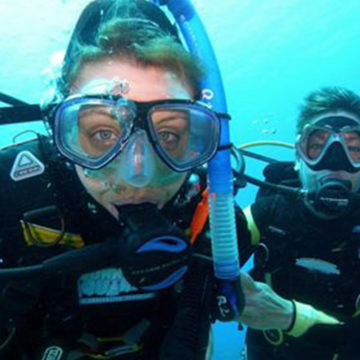 “The feeling of scuba diving to me is absolute freedom. Since my accident, it’s the first opportunity I’ve had to be in an environment where I have no barriers, where I can turn my body and I can go in any direction I want to go,” says Corey. Scuba diving has been shown to have therapeutic benefits for people living with spinal cord injury, such as a decrease in muscle spasticity. Corey also noted that he can feel his back expanding and stretching when he’s underwater. 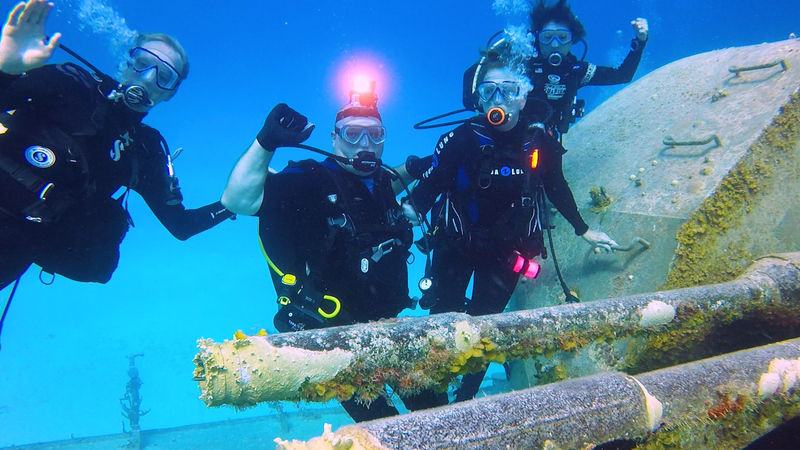 This was a unique trip for Corey, though: his mother, Judy, decided to join him, and at 66 years old, took lessons through A-1 Scuba and received her certification just a month before heading to Cayman Brac with the group. 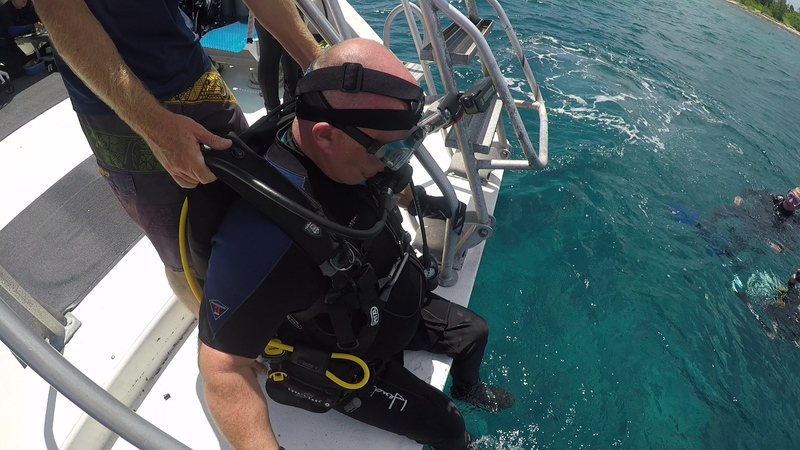 It was a special experience for both Corey and Judy to be able to dive together. “Since Corey’s injury, every hug I’ve gotten from him has been a one-armed hug while he balances himself with one hand on his chair. When we got under the water on our first dive, Corey motioned for me to swim over to him and he gave me a big bear hug. That was the first time in 26 years that I’ve been able to give him a real, full embrace, and I am so grateful for that opportunity,” Judy said. 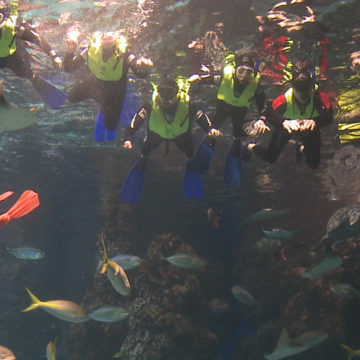 Craig’s Adventure Program offers unique opportunities for travel, sports and outdoor recreation.